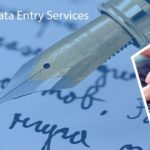 Data Entry Export offers the best assistance while dealing with the data conversion process, thus, helping you to store the data in the best suitable format. Our dedicated team assures to convert the data accurately, within a short time, and at an economical price. 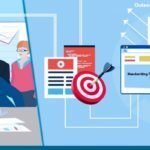 For every business firm, no matter how huge or small they are, the data concerned with the firm carries a high significance and they should be handled in an organized way. An inconsistent and unorganized way of handling the data can hinder the smooth functioning of your business. The data is considered to be very sensitive and thus, it should be converted into various formats, for its higher security. 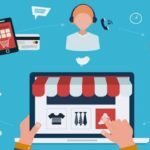 Data conversion is gaining a wide popularity within the outsourcing business as most of the business organization are tending to outsource the conversion process. Different companies might store the data in different formats and thus, the requirements may vary from organization-to-organization. •	XML Conversion – Under our XML conversion, we help you to transfer the information from one application, system, or a database to another. We carry out XML conversions from formats such as text, word, HTML, and PDF. •	HTML, XHTML Conversion – Our HTML and XHTML conversion handles the conversion of various formats such as the Word, Excel, JPEG, and PDF to HTML compatible format. 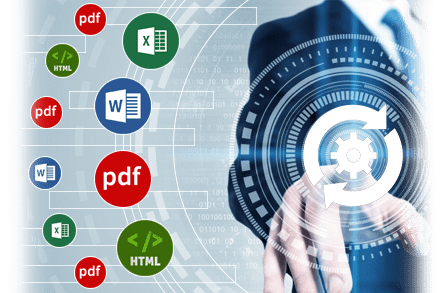 •	SGML Conversion – Our team successfully performs the SGML conversion such as text to SGML, SGML to HTML, SGML to excel, SGML to CD-ROM publishing, SGML to DTD, and much more. •	PDF Conversion – PDF has become the best choice for document conversion. PDF’s are easily created from receipts, bills, images, and invoices, thus, making it easy for you to store, transmit, and publish the information. •	TEXT, TXT Conversion – Our TEXT, TXT conversion minimize your dependence upon the paperwork. Our services include converting various formats such as Scan, PDF, HTML, Picture, Image, or XLM to Text format. •	Word, Doc, RTF Conversion – Today, there has been a great demand for converting the PDF into Word, Doc, or RTF. Along with such conversion, we also convert the image files to DOC, Word, and RTF. •	XLS, CSV Conversion – Under XLS, CSV conversion, we will help you to save the file in a table-structured format and thus, will enable you to read on your own with the help of text editor. •	Image Conversion – Our image conversion services include the conversion of an image to various formats such as text, database, PDF, XML, or CSV. •	eBook Conversion – At Data Entry Export, the major sources of our eBook conversion services includes books, journals, newspapers, and brochures. •	ePub Conversion – Today, ePub has become one of the universally accepted standard eBook format. We will assist you with the creation of a perfect book without any limitation on size etc.